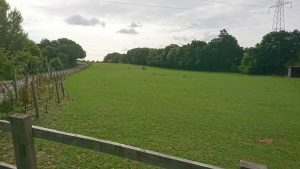 Portchester Branch Labour Party has objected to the planning application to build 350 houses east of Downend Road, Portchester. Labour Chair Richard Ryan said: “We vigorously oppose this plan as it will take away more green areas in Portchester and add to the continuing ‘concreting over’ the whole village. This is not the only development. We also have the building at Wicor and plans to build at Romsey Avenue. All these developments mean that the strategic gap between Portchester and Fareham is being eroded. The plan is against the current local plan, which designates this area as open space. Loss of open space in the urban area. Reduction in the strategic gap between Portchester and Fareham. We object on highway grounds as the development will increase the amount of traffic in the area especially on the A27 which has heavy traffic already. Even with the new proposals to enhance the road network we still believe that the amount of new traffic – around 700 vehicles – will not mitigate traffic congestion. Lack of infrastructure in the application. Strategically, we object as this area is supposed to be protected by the new Welborne development. We believe that all future large development such as this proposal should be refused on the grounds that Welborne will supply the number of houses needed up to 2036.